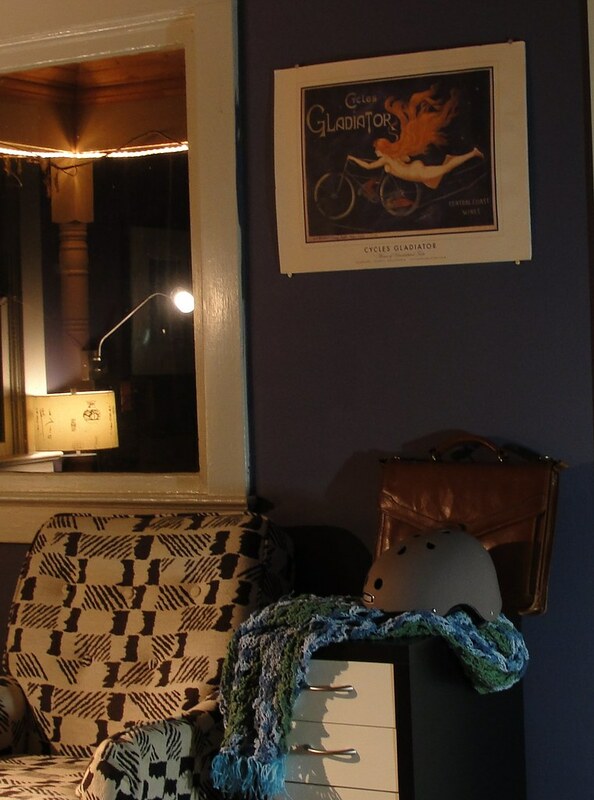 love the colors on that shawl! i would like to see it stretched out :) or maybe a link to the pattern if there is one online? i have some variegated yarn that i'm not sure what to do with and that glimpse has me thinking it might be just the thing to make! Your wish is my command. 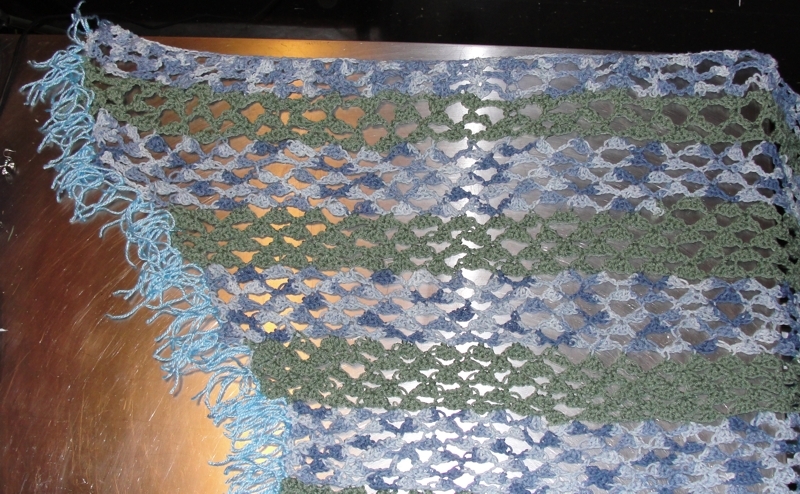 The whole shawl is about six feet long, with tapered edges (about 5 feet long on the bottom edge). Here's a picture of half of it, with the tapered edge. 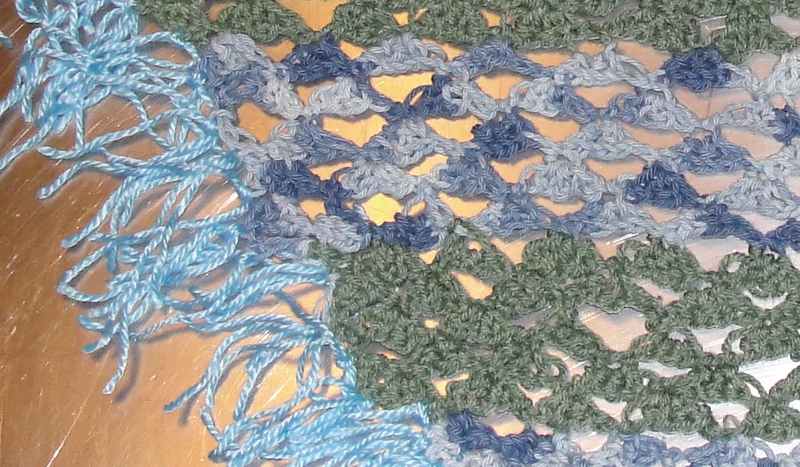 It's alternating bands of a variegated blue and a plain sea-green, with a third color in the fringe. It's clearly worked from a chainstitch start on the longest edge, and it looks like the triangle pattern is three double-crochets into a single stitch, then chain 3, skip 3, and repeat. I'll ask executrix if she's got a pattern she'd like to share.